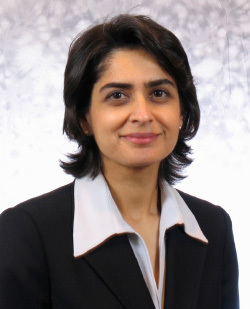 Pamela Bhatti, PhD, a 2011 ACTSI (Atlanta Clinical & Translational Science Institute) Research Education, Training, & Career Development (RETCD) KL2 scholar, graduate of the RETCD Masters of Science in Clinical Research (MSCR) program, Associate Professor of Digital Signal Processing, and Bioengineering, in the School of Electrical and Computer Engineering at Georgia Institute of Technology (Georgia Tech), and an Adjunct Assistant Professor of Rehabilitative Medicine with the Emory School of Medicine, continues the history of RETCD scholars turned ACTSI educational leaders. In a collaboration with the NSF, the National Institutes of Health (NIH) is piloting the I-Corps at NIH program specially tailored for biomedical research and clinicians, which will give NIH-funded researchers training to help them evaluate their scientific discoveries for commercial potential, with the aim of accelerating biomedical innovations into applied health technologies. Bhatti, with the support of ACTSI, recently competed for the I-Corps at NIH administrative supplement and was one of 10 Clinical and Translational Science Awards (CTSA) awarded $25K. With this support, Bhatti and ACTSI will serve as a liaison for customer discovery and guide researchers through the translational process. The overarching goal is to assist research investigators in evaluating next steps for scientific discoveries – commercialization, licensing, or placing in the public domain. ACTSI will guide investigators in achieving steps, such as working with the Office of Technology Transfer, business mentoring, product development, and didactic training. This award adds another dimension to the existing ACTSI RETCD training program and continues work with existing partners that are familiar with I-Corps, such as Georgia Tech and the Georgia Research Alliance. Bhatti has now become an I-Corps at NIH leader and will be sharing and refining the ACTSI curriculum with CTSAs at UCDavis, Michigan, and Indiana.